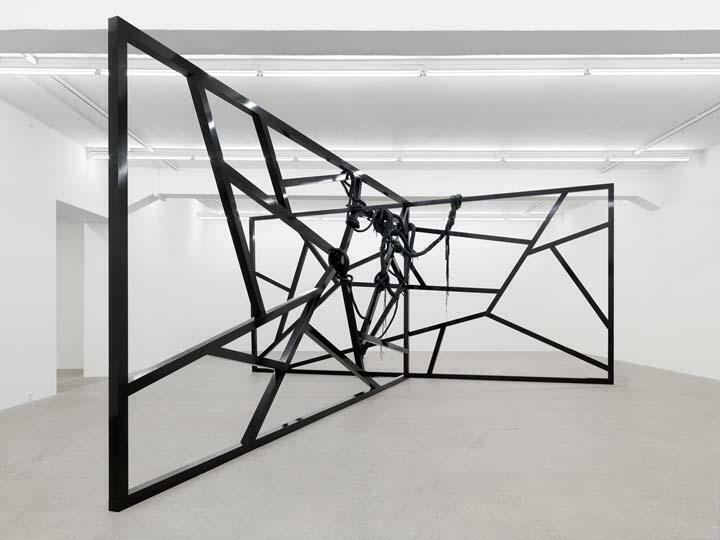 The Irish artist Eva Rothschild (born 1972, lives and works in London) is one of the most important protagonists of a generation of young artists dealing with the formal aspects of sculpture. 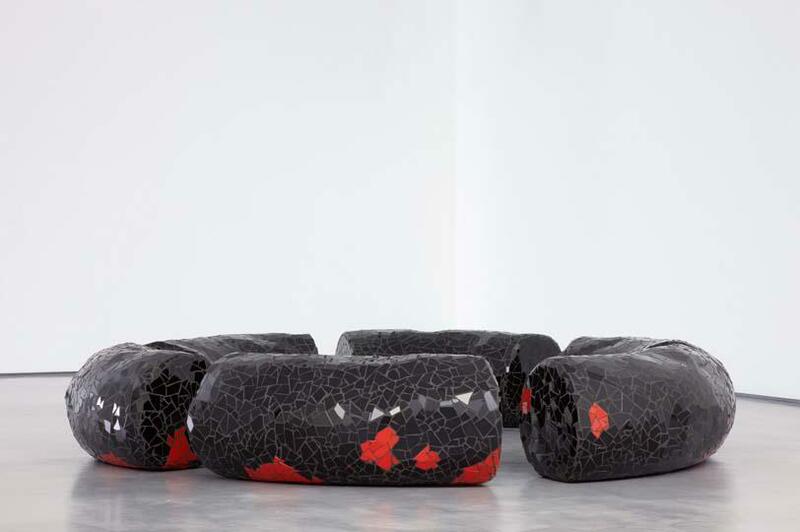 Influenced by minimalism of the nineteen sixties and seventies, Eva Rothschild’s works convince through their tension-filled combinations of such diverse materials as leather, paper, Plexiglas, wood and metal. 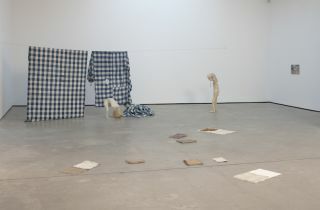 Eva Rothschild has already exhibited internationally, including the impressive spacial site-specific 2009 installation ‘Cold Corners’ at Tate Britain. 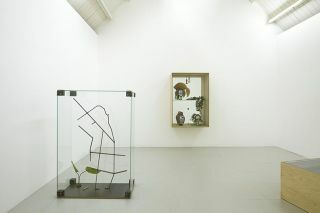 The exhibition at Kunstverein Hannover is the first presentation of her work in Germany. 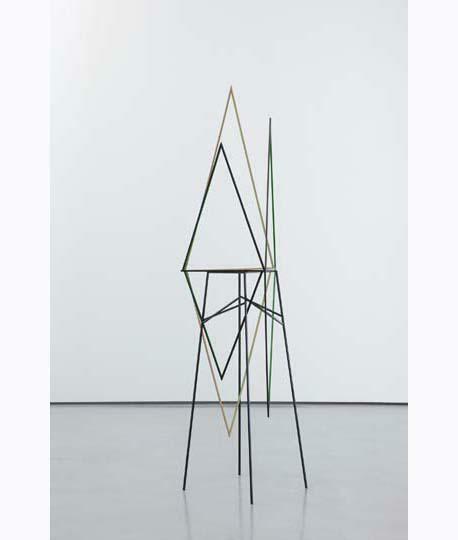 In Rothschild’s object worlds, the history of abstract art, and hence the tradition of elementary forms such as circle, cone, square and triangle, encounters the puzzling and meaningful aura of the material. Rational minimalism meets emotional mysticism. 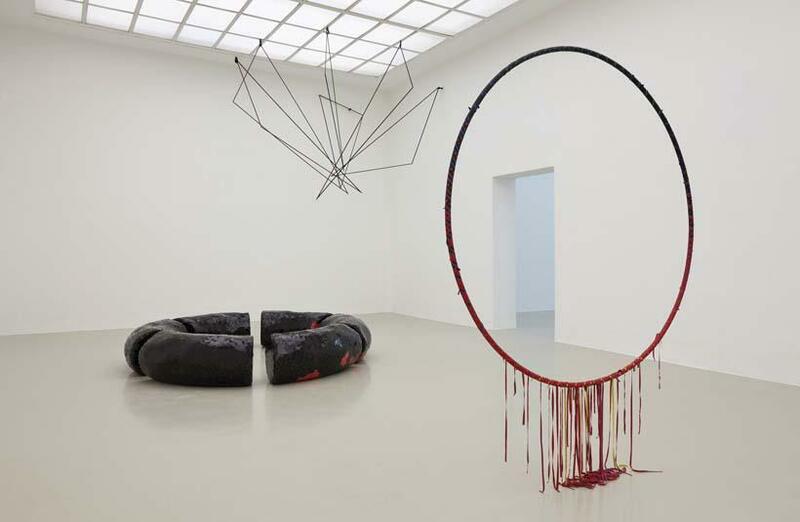 The artist’s works consequently contain references to subcultures and the fetishization of the autonomous object: like archaic ritual atifacts, woven leather objects hang on the wall or as a group in space. Paper pictures with long rug fringes recall the leather jackets and rug culture of a romantically transfigured hippy world, formally re-dissolving the pieces’ abstract appearances. 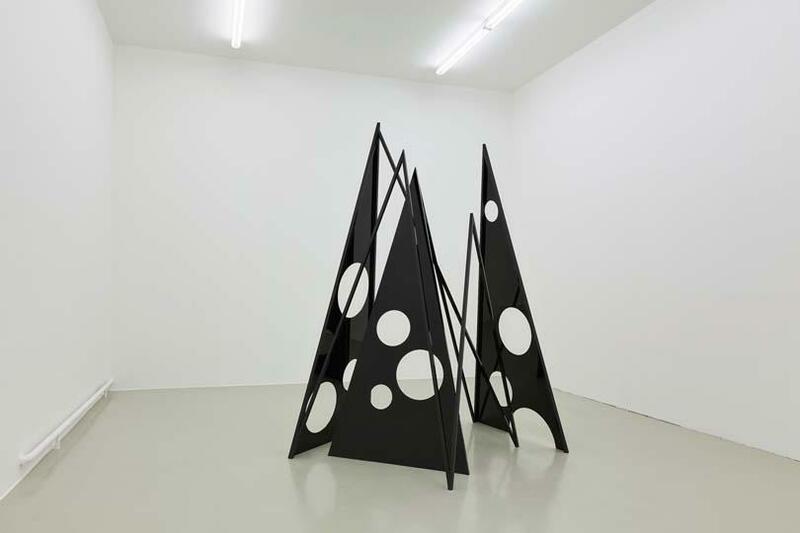 The overlapping of systems and worlds of meaning is particularly clear when Eva Rothschild interweaves two model images each for her woven paper works. In ‘Hand and I’ (2003), a pair of eyes is thus pictorially entwined with an esoterically tinged corona. 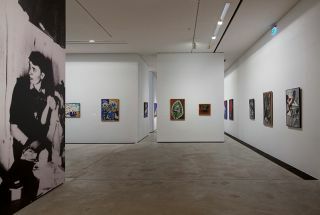 The artist succeeds in making the spiritually-laden works of the early avant-garde equally visible in her pieces as concrete art’s claims of sociopolitical relevancy and the aesthetic pervasion of everyday life. The autonomous elementary form of minimalism encounters the potentially utopian, spiritual ‘image material’ it finds in the environment of the esoteric and recent social utopian models.